Continuing the adventure that began in Egypt a few months prior in The Secret of the Sacred Scarab, cousins Adam and Justin Sinclair are hot on the trail of the second Stone of Power, one of seven ancient stones lost centuries ago. This stone might be embedded in the hilt of a newly discovered sword that archeologists believe belonged to King Arthur: Excalibur. However, their long-standing enemy, Dr. Khalid, is following them as they travel to Scotland to investigate an old castle. Little do they know there is another deadly force, the Eaters of Poison, who have their own mission to complete. Time is running out as the confluence of the planets draws closer. 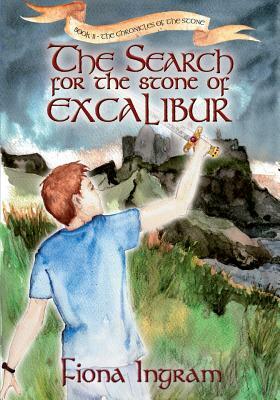 Can Justin and Adam find the second Stone of Power and survive? And why did Aunt Isabel send a girl with them? Join Justin and Adam as they search not only for the second Stone of Power, but also for the Scroll of the Ancients, a mysterious document that holds important clues to the Seven Stones of Power. As their adventure unfolds, they learn many things and face dangers that make even their perils in Egypt look tame. And how annoying for them that their tag-along companion, Kim, seems to have such good ideas when they are stumped.